If a new job is on your horizon, a résumé is an important tool for catching the attention of prospective employers. A résumé is more than just a tired piece of paper with a list of your previous jobs—it serves as a window into the unique skill sets and experiences that set you apart from other candidates. 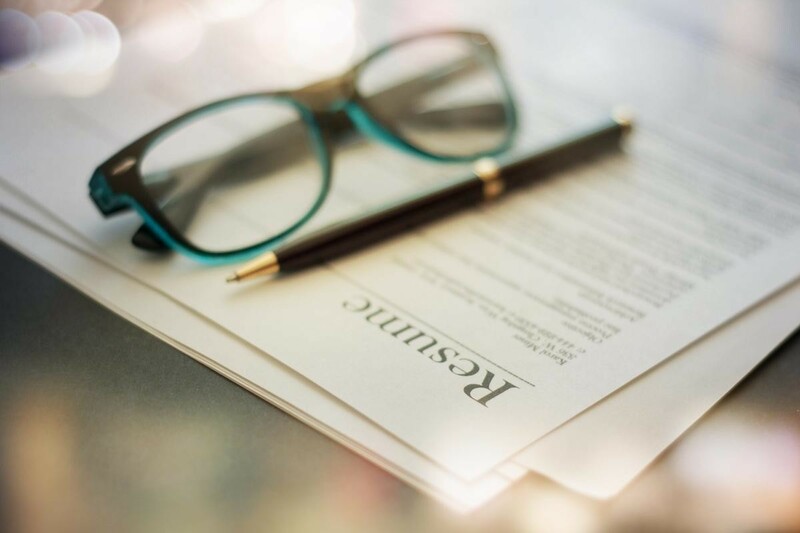 Although online templates, such as LinkedIn, are becoming popular for listing your experience and credentials, if you are actively job seeking, it’s still important to have a standard one- to two-page résumé. Thanks to the wonders of the Internet, you’re not restricted to Microsoft Word for creating and formatting a résumé. Now there is a slew of online résumé-building tools, including Resume.com, which offers free résumé templates and résumé building. LiveCareer offers résumé and cover-letter building, as well as interview tips and videos. CV Maker is another template builder that allows you to export the final product into a PDF for easy e-mailing. Write your name in large font at the top. During the hiring process, recruiters often are left with a stack of résumés from countless applicants vying for the same job. Printing your name in large font at the top of your résumé is a great way to help those in the hiring department easily find your résumé. Oftentimes, if they don’t see your name quickly, you won’t grab their attention. Include your full name in the file name. When you e-mail your résumé, the file should be saved as your first name, your last name, and then the word “résumé”—for example: “GiaMillerresume.” Miller explains that many people make the mistake of saving a résumé under something generic, such as “MyresumeVersion5.” That is a quick way for your résumé to get lost in the black hole of the human resources department. Embrace the white space. White space is the blank space between the text on a page. Miller advocates using white space between blocks of text to allow for easier reading and absorbing of information. Too much text will seem daunting to a potential employer and may cause him or her to move on to the next résumé. A clean résumé with a lot of white space helps it stand out from the others in the pile. Be intriguing. Miller says, “When I graduated from college, I worked for a bike-tour company. I keep that on my résumé because it’s interesting and people always ask questions about it.” She suggests writing your résumé in a way that is intriguing. If you’ve had an unusual job or a unique role in a company, consider including it—even if it isn’t related to the job you’re currently seeking—so that it piques the interest of an employer and becomes a discussion point during your interview. Be consistent with formatting, punctuation, and abbreviations. If you use a period at the end of a job description, make sure you end each job description in the same way. This shows an attention to detail, which employers like to see. Similarly, if you choose to abbreviate job titles (e.g., “Sr.” for “Senior”), abbreviate consistently. Don’t turn your résumé into a novel. Résumés should be one to two pages long, at most. If you have less than 10 years of work experience, your résumé should really be only one page. Don’t be afraid to ask a friend or a professional for help. If writing or formatting isn’t your strong suit, there are professionals (like Miller!) who know how to craft résumés that are truly eye-catching and compelling. At the very least, you might want to find a writing-inclined friend who is willing to proofread your résumé before you send it out to prospective employers. Nothing says “Don’t pick me” than a résumé full of typos. Don’t go into detail about every job you’ve ever had. Recruiters pay particular attention to the most recent three jobs, and those are the ones that you should highlight the most. Beyond your last three jobs, simply include the name of the company, the years you worked there, and what your position was. No need to go into additional detail. Also, consider how far back you really need to go—for example, if you’ve been a professional nanny for the past five years, you most likely don’t need to include your very first high school babysitting job. Don’t worry about crafting an “Objective.” Though she says some résumé writers might not agree, Miller’s personal opinion is to ditch the “Objective” at the top of your résumé. She says your objective should be to land the job you’re applying for, and adding something extra just takes up valuable space. Don’t let your social-media presence cost you the job. Résumés aside, Miller strongly encourages job seekers to set their social-media accounts to “private” and “take down anything that you would be embarrassed to show your mother.” When the website CareerBuilder conducted a survey, it found that 43% of all employers use social-media sites to screen prospective employees. The same survey reported that 46% of those employers turned down applicants because of information they found on the applicant’s personal social-media site, including evidence of drinking or drug use, racist statements, or a general lack of professionalism. Check out ESME’s Work and Finances section, which is dedicated to Solo Moms who juggle work and family.